Oreo milkshake is undoubtedly one of the best evening snacks! Who would’ve not tried this chocolaty crunchy drink. Our avid reader and a foodie Ami has shared her simple quick fix recipe for Oreo Milkshake. It’s a truly sinful indulgence. 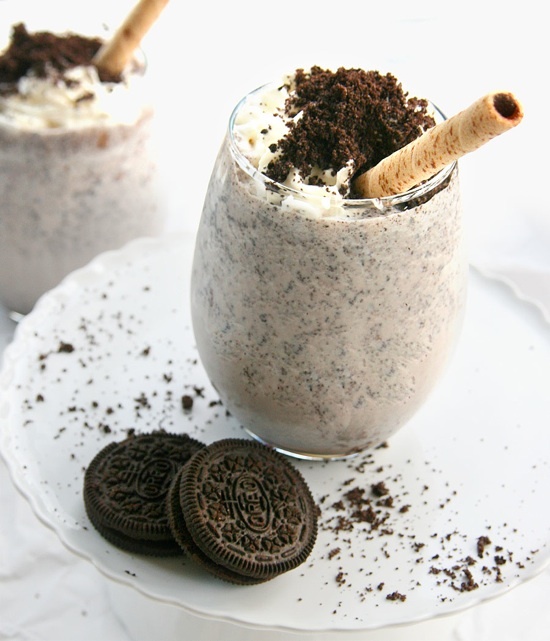 Go ahead and make yourself a chilled chocolaty glass of oreo milkshake. 1. Add the oreo biscuits, chocolate sauce and milk in a blender and blend it nicely. 2. Add ice-cream and blend again. 3. Pour the mixture in a tall glass. 5. Decorate with some chocolate shavings and pieces of oreo on top of the vanilla ice-cream. Chocolate ice kream ke badle, vanilla will taste good too.